Kiss thin, lined lips buh-bye. 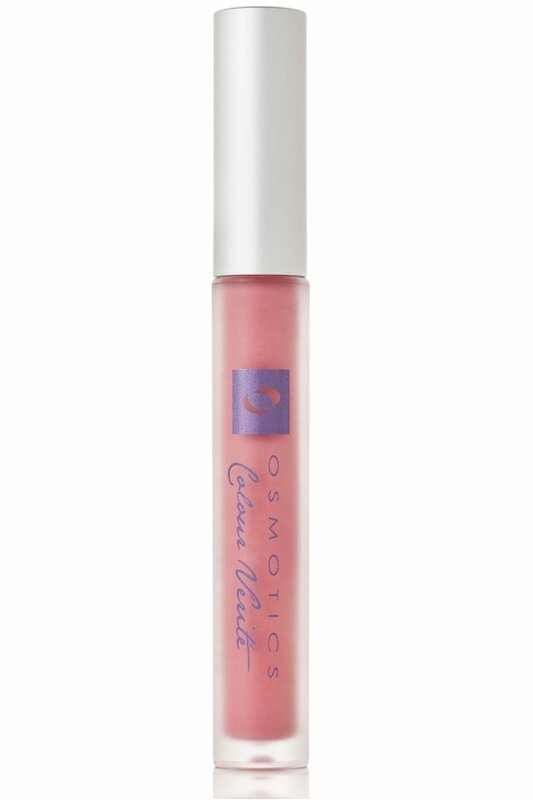 Infused with their signature anti-aging formulas, this new lip color from Osmotics visually plumps lips, smooths lip lines and layers on a hint of natural color. The result is a fuller, more natural and youthful look. Apply to lips as often as needed. Works beautifully alone or may be used under/over lip color. C10-30 Cholesterol/Lanosterol Esters, Vitis Vinifera (Grape) Seed Oil, Cocos Nucifera (Coconut) Oil*, Hydroxystearic/Linolenic/Oleic Polyglycerides, Silica, Isopropyl Palmitate, Lecithin, Water, Swertia Chirata Extract, Isohexadecane, Ethylene/Propylene/Styrene Copolymer, Butylene/Ethylene/Styrene Copolymer, Sodium Hyaluronate, Xanthan Gum, Phenoxyethanol, Tripeptide-1, Ethylhexyl Palmitate, Tribehenin, Sorbitan Isostearate, Palmitoyl Tripeptide-1, Butyrospermum Parkii (Shea Butter)*, Mentha Piperita Essential (Peppermint) Oil, Mentha Viridis (Spearmint) Oil, Illicium Verum (Star Anise) Oil, Gaultheria Procumberis (Wintergreen) Oil, Mixed Tocopherol (Vitamin E), Titanium Dioxide, Stearoyl Glutamic Acid, Red 7 Lake (CI 15850), Yellow 5 Lake (CI 19140).